The shores of Kintail in Wester Ross were for centuries the main territory of the Macraes. 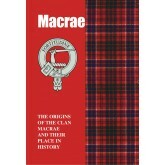 The name has a variety of possible meanings that include ‘good fortune’, and it was Maurice Macrath, progenitor of those would come to bear the Macrae name, who at an early date made the short sea crossing from his native Ireland to settle in Scotland. His descendants thrived, not least through their close bond with Clan MacKenzie, custodians of Eilean Donan Castle near Dor.. 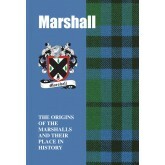 Although enjoying a close kinship with Clan Keith, the Marshalls also have their own proud heritage and traditions. The turbulent seventeenth century saw many bearers of the name at the forefront of the bloody conflict between Crown and Covenant, while others gained both notoriety and fame. In more peaceful times, it is a cruel irony of fate that, although responsible for setting in motion the California Gold Rush, James Wilson Marshall ended his days in poverty. .. The Roman god of war and a fourth century saint both contribute to the distant origins of the surname of Martin. While proud bearers of the name flourished throughout the length and breadth of Scotland, those who lived in the vast and rugged splendours of the Highlands and Islands became embroiled in vicious clan wars while many gave their lives in support of the doomed but romantic cause of the Royal House of Stuart. 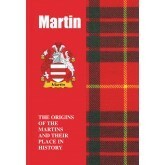 Read here of the bloody but often glorious exploits of the Martins. ..
With an early history entwined with that of the proud Clan Sinclair, bearers of the Mason name may well have been privy to a secret tradition relating to the famous Rosslyn Chapel. As stonemasons, they helped to build magnificent structures that still grace the landscape today, while they were also to be found on the battlefield. 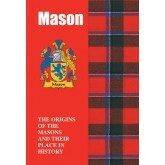 The colourful and intriguing tale of the Masons is recounted here. 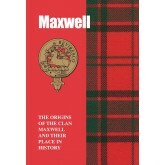 ..
A family with roots that stretch back to the twelfth century, the Maxwells accrued distinction and high honours that include two earldoms. Their name derives from ‘Maccus’, a Saxon nobleman who found refuge in Scotland in the wake of the Norman Conquest of Anglo-Saxon England in 1066. Granted lands in the Borders on the banks of the River Tweed, near Kelso, a son of Maccus was appointed Sheriff of Teviotdale, while ‘Maxwell’ was adopted as the family name. 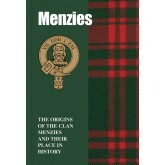 &n..
With their name derived from Mesnieres, an area near Rouen in Normandy, the Menzies came to hold high honours and distinction after first settling in Scotland after being granted lands in western Perthshire. One indication of the regard with which they came to be held by Scottish monarchs is that the first Menzies chief served in the court of King Alexander 11 and, in 1249, was entrusted with the post of Chamberlain of Scotland. With the motto of ‘With God I shal.. 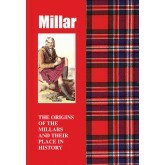 They have made their mark on the world through a range of pursuits that include music, sport and literature, but the Millars can also lay claim to a proud heritage rooted in the high romance and drama of Scotland’s story. As kinsmen of the clansmen, they fought for the cause of the nation’s freedom during the bloody Wars of Independence with England, while in later centuries many rallied to the standard of the Royal House of Stuart. In more contemporary times, an..
First settled in Berwickshire, the Milnes moved further north, to Aberdeenshire, in the early fourteenth century. It was here that they and their namesakes the Mylnes became established and, as kinsfolk of Clan Gordon, often found themselves on the field of battle - but it was as masons and architects that they earned enduring fame, while others have distinguished themselves through a range of other pursuits. 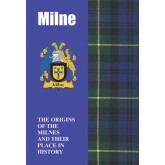 In the creative world of literature, Alan Alexander Milne, born i.. The Mitchell clan has provided the world with many successful entrepreneurs. 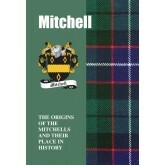 Two of modern Britain’s best known companies began life as Mitchell businesses. In addition, two Mitchells, living at opposite ends of the earth, left almost identical legacies. It was an astonishing coincidence and to this day millions of people have reaped the benefit of their outstanding generosity. But another Mitchell is remembered for different reasons. He fought for his religious convictions and paid a horr..
With roots firmly embedded in the ancient soil of the Scottish Borders, the Moffats found themselves at the very forefront of Scotland’s long and bloody struggle with its English neighbour during the Wars of Independence. 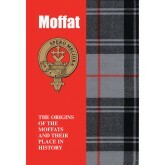 When not battling the common foe, the Moffats, with their motto of ‘I hope for better things’, also gained a fearsome reputation as notorious reivers, or raiders, and were frequently punished for their lawlessness. 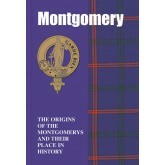 In more peaceful times and on ..
Descendants of Anglo-Normans who came north to Scotland in the train of David 11 in the twelfth century, bearers of the name of Montgomery are heirs to a glorious tradition of service to not only the Scottish Crown, but to that of France. Renowned for their knightly valour and prowess with arms, the family accumulated glittering honours and titles over the centuries, while many continue to find fame and fortune today on the international stage. On the television .. 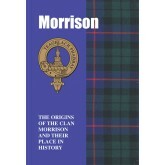 Following their brutal dispersal from their ancestral homelands in the late sixteenth and early seventeenth centuries, the Morrisons, known in Gaelic as the Clan of Ghille Mhuire, survived to make a memorable impact on the wider world in a variety of roles. From their ancient Celtic roots as bards and hereditary lawmakers, Clan Morrison subsequently gave birth to a diverse array of doctors, missionaries and poets, and can boast a wealth of talent in the entertainment field. 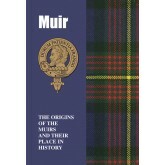 ..
With roots that stretch back through the dim mists of time and boasting a number of royal connections, bearers of the Muir name today can lay claim to a truly distinguished heritage, being for centuries at the very heart of Scotland’s frequently turbulent affairs. In 1263, Gilchrist Muir led the Scots to victory over the Danes at the battle of Largs, being rewarded by a grateful King Alexander 111 with a knighthood and the lands of Rowallan, near Kilmarnock. One ..
First settled from an early date along the northern shore of the Cromarty Firth, the Munros later established Foulis Castle as their main stronghold. With their motto of ‘Dread God’ and crest of a perching eagle, they held allegiance to the Earls of Ross, on whose lands they were settled, and as a result frequently became embroiled in their turbulent affairs. 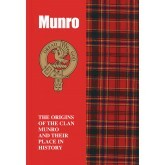 On the battlefield, Robert Munro of Foulis was among the Scots slain at the battle of Pinkie in 1547 whil..
Recognised as kinsfolk of two proud Scottish clans, Clan Macpherson and Clan Donald, bearers of the Murdoch name have also stamped their own indelible mark on the pages of the colourful drama that is Scotland’s history. Of ancient Celtic roots, many have flourished, and continue to flourish, through a diverse and colourful range of endeavours and pursuits. 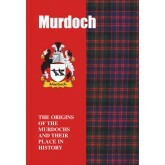 In the creative world of the written word, Iris Murdoch was the philosopher and prolific author born in Dubl..